Known for its unique coffee experience with Single Origin Coffees, the new beverages launched in the menu at Coffee Day Square begins with three Alternate Brewing techniques, where each method accentuates a particular taste profile with a rich, deep combination of flavors that needs to be tasted to be believed. This includes the Siphon, the French Press and Pour Over. Fascinating coffee innovations also include drinks like Espresso Express which is a shot of espresso with an intriguing flavour of rum and tequila topped with milk foam. There is also the unique Smoke-it-up Cold Brew – a Mandarin flavoured cold brew which comes in a blanket of smoke in the ‘Cold Coffee Extravaganza’ category. Café Coffee Day is India’s largest café chain in terms of number of café outlets as of December 31, 2014 (source: Indian Coffee Industry Overview, March 2015, Technopak (“Technopak, March 2015”)) and operates through Coffee Day Global Limited (CDGL), a subsidiary of Coffee Day Enterprises Limited. Café Coffee Day has pioneered the coffee culture in the chained café segment in India (source: Technopak, March 2015) and opened its first café in Bengaluru in 1996. 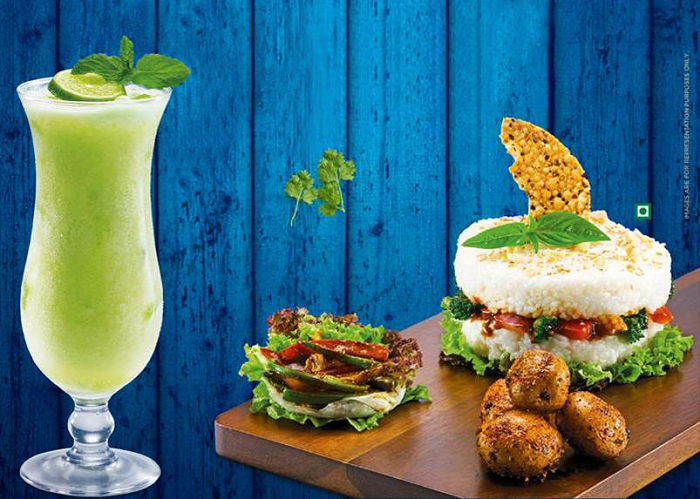 Café Coffee Day’s menu ranges from a mix of hot and cold coffees and include several food options, desserts and pastries. In addition, Café Coffee Day brand merchandise and accessories such as coffee mugs, coffee machines, travel mugs, etc. are available at the cafés.